Neighborhood Garage Door “The Original” provides overhead garage door service 7 days a week in Charlotte, NC and the surrounding areas. Overhead garage door service is one more professional service provided by the team of experts at Neighborhood Garage Door “The Original”. Our clients in the Charlotte, NC area have come to rely on our overhead garage door service because it comes with a high level of professionalism and reliability at affordable prices. All of our service technicians have a minimum of nine years of experience working in this particular industry. Our team is fully prepared to deal with all types of problems and you can always expect the job to be done right. A couple of the most common services we perform on overhead garage doors are preventative maintenance along with repairs. 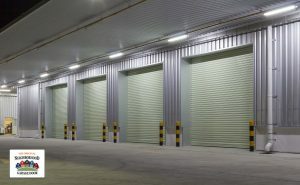 Overhead garage doors depend on a lot of moving parts, which is why it is a good idea to maintain its upkeep. Problems can arise without warning, but it is never a problem for one of our technicians to be on the scene with a simple phone call. Our service is available throughout the Charlotte, NC area. Our overhead garage door service also provides replacement parts when something breaks down. There is no lengthy waiting period for new springs, rollers or keypads. We can match the right part with your system and get things back working the way they should. There is no risk when you choose Neighborhood Garage Door “The Original”. We are completely prepared and capable of handling all the repairs and maintenance when it comes to your overhead garage doors. Contact one of our customer associates today and let us start working for you.